Nowadays, anyone can start their own business; just find a suitable niche, find a financier, and you are ready to take off, or are you? Setting up a business is easy, but running it is no child’s play. Acquiring customers and driving more sales requires you to promote your product or service successfully to the right kind of audience. Of course, one of the best ways to market your goods can be through social media, but even those mediums demand a more technical know-how. Most of us have heard of content being the king, and that is actually the number one secret of attaining customers and turning your startup into an international brand; but how? Content can be developed and marketed through blogs; they nothing more than discrete entries that you compose on a website about different topics ranging from politics and sports to religion and the weather. Essentially, you are going to blog about your products and/or services and furnish free information that solves the problems of your audience and also relates to your goods, so that they can be convinced psychologically to purchase them. Blogs have to be updated regularly and this is known as ‘blogging’. 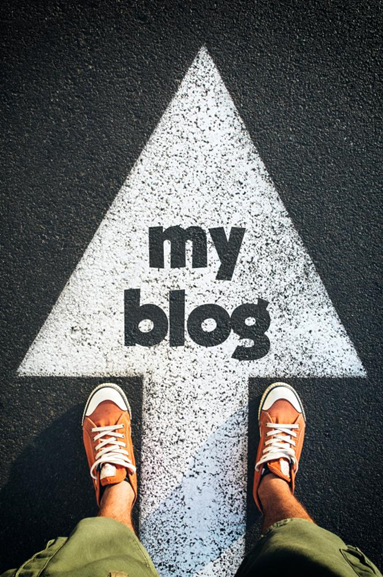 Through a blog, you can communicate with your potential customers and engage them. Now, how will this activity be beneficial for your startup? Let’s take a look. Since you have recently created and hosted a website, you will need many visitors to increase your ranking, so that you can be displayed on the first page of every search engines’ results, especially Google. The most effective to go about this is by blogging. By adding new and fresh content on a daily basis, search engines like Google will index and increase your website’s ranking. Once your website comes on top of every search engine results, you will obtain more visitors and hence, more leads and more conversions. In the previous point, it was mentioned that blogging would enable you to get more leads; but, how exactly? Leads are people who will leave you their contact information in exchange for something. That something has to be arranged by you in the form of call-to-actions at the end of your blog posts. You can offer them free eBooks, consultations, webinars, samples or trials. If you keep your blog content engaging, rest assured, you will receive new leads every month. Would you like to see your startup becoming a brand in a short period of time? Well, why wouldn’t you? The good news is that blogging can help you achieve this dream, provided you create content that is genuine, helpful, informational, and real. You need to take care of your audience and be sympathetic to their plight; supply them with potential solutions to their problems and you will observe that they will keep coming back to you for more. That’s because they will see you as a trustworthy and reputable brand and as an industry leader in your own field. At the end of the day, they will be more likely to become your customers because you have already helped them out before. Kind of like reverse psychology, right?